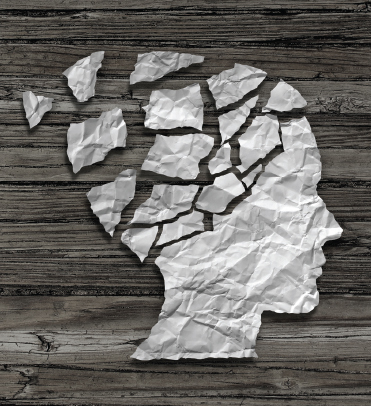 Crisis of the Humanities - How Do the Humanities Stand? This is how universities and most of society regard the humanities. To some extent, the humanities have long been disregarded in education, among parents and students. 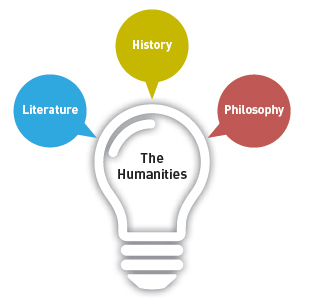 The humanities are a sub-area of liberal arts along with social sciences. Dictionaries of pedagogical terms usually define the humanities as a field of study and research about ideas, cultures, and basic issues of humankind. Moreover, the humanities use analytical and critical approaches, and this characteristic is what distinguishes the field from the natural and social sciences, which primarily use empirical approaches. In the West, the concept of the humanities goes back to ancient Greece, and it has evolved in education ever since. The range of humanities has changed over the years. In the past, various studies such as astronomy, geometry, and arithmetic were all included in this range, but over time, these have been separated from the humanities. In this article, we will limit the humanities to literature, history, and philosophy. This is because these three studies have remained in the list of humanities from ancient Greece to now. Likewise, we consider university students who major in literature, history, and philosophy to be studying humanities. Regard for the humanities tends to fluctuate as society changes. In Korea today, many people consider the humanities to be a dying field. We can find the reason from the motivation for entering a college of the students who will major in the humanities. According to a survey by the Sungkyunkwan University student newspaper, 46 percent of students who major in the humanities enter the field based on their Korean Scholarly Assessment Test (K-SAT) scores, rather than on personal goals or interests. Students across Korea attest to this motivation also. One student in the department of English language and literature at the University of Seoul (UOS) told us, “To be honest, I entered this department based on my K-SAT scores.” Other literature students we spoke with echoed this view as well. Many students complain about the stress they feel in their humanities courses. According to a survey by student job-search website Albamon, nearly 60 percent of humanities majors responded that they wanted to change their majors when they were asked how satisfied with their majors. Some students said that they wanted to choose majors that would help them find jobs. More than 21 percent of students said they would change to natural sciences if they have a chance. South Korea is not the only country where the humanities are endangered. It is a common problem in university systems throughout the developed world. In November 2013, The New York Times published its own investigation into the crisis that humanities education faces in the U.S. - “As Interest Fades in the Humanities, Colleges Worry.” Times reporter Tamar Lewin found that humanities faculties across the country are in decline, with many professors remaining employed, but with a shortage of classes and students. Lewin looked at one major university in particular - Stanford - where 45 percent of professors in the main undergraduate division teach humanities, while only 15 percent of students major in humanities. Statistics at UOS may not be as sharp as they are at Stanford, but they show a similar trend. About nine percent of UOS students major in the humanities, while 14 percent of faculties teach courses in the humanities. Even humanities major students have recently recognized and accepted that members of society on the whole doubt the value of the field. Participants on Korean social media sites often reflect these attitudes. There are two terms now trending on social media that express disdain for the humanities: moonsong-hamnida and in-gu ron. Moonsong-hamnida, which combines moongwa (liberal arts) and jwaesonghamnida (I’m sorry), refers to the regret that some students have for choosing the liberal arts. In-gu ron, which combines inmunhak (the humanities) and gusip (the number 90), means that 90 percent of the students who major in the humanities will not find a job after graduation. These neologisms reveal strongly negative feelings in the public toward the humanities. In response to these social attitudes, some students who see the value of humanities in their educational choices try to design interdisciplinary majors, such as a combination of engineering and history. One student we talked to has chosen exactly this combination with a particular goal in mind. Yet, not all interdisciplinary or hybrid majors have such a strong goal. At UOS, two English majors told us that they want to major in business administration along with English only because the business component might help them find a job. These students are among many who believe that studying only the humanities in college will reduce their competitiveness in society. A hybrid major may be a compromise that will allow them to respond to economic demands. 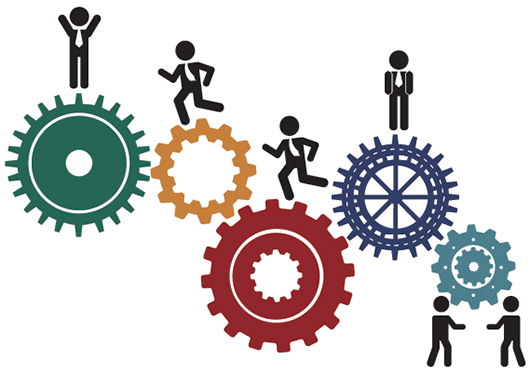 According to a report by Korean news aggregator Datanews, about 90 percent of enterprises in Korea have stated preferences for certain majors in their recruitment, with engineering the most preferred, accounting for 40 percent. By contrast, only four percent prefer the humanities. That is, many corporations do not think the humanities are important for all the tasks they require, making the humanities useless studies. According to Saramin, job-searching website, 62.4 percent of companies prefer students who graduated from natural sciences and engineering. This figure is increased 8.8 percentage point since last investigation in 2014. Also 53.9 percent of them said, if applicants have same credit, they will select those who have a degree in science or engineering. Also according to An-ho Jang, HR manager of Woori Bank, people who are professional at engineering and science are needed due to technological development. Government policy also discourages the humanities. As the government continues to reform the structure of the university system, particularly preparing for a declining population, two programs in particular may instigate the crisis of the humanities: the Program for Industrial needs-Matched Education (PRIME) and an initiative known as College of Humanities Research and Education (CORE). According to the Ministry of Education, PRIME is a project that supports the structural reform of universities by reducing the numbers of students in arts and the humanities while increasing the number in engineering. This program is made because the skills that students learn do not match their needs or meet the standards of recruitment. 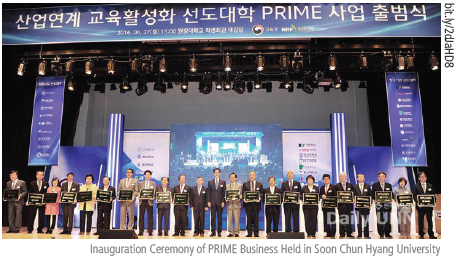 There are currently 21 universities participating in PRIME, including Konkuk, Ewha, and Sookmyung. With a tuition freeze that has been in force for five years, universities are attracted to the program because they receive significant funding from the government. To be qualified, however, these schools have to restructure their colleges and departments, creating new ones while reducing enrollment in others. Typically, humanities and arts departments are the first to be abolished. According to ChungCheong Daily News, a newspaper in an area that is a focus of the PRIME project, these closures affect 10 percent of entering freshmen, who will no longer be able to enroll in humanities studies. However, this program has several problems. First, the Ministry of Education limits universities to this program for a very short time. Therefore, many universities do not have sufficient time to discuss the changes with students or to create departments that are suitable for their local situations. 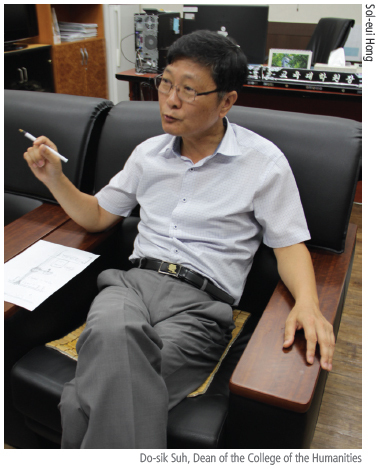 For example, at Konkuk University, the faculty notified students only by Kakaotalk that the Department of Bio-industrial Technologies would be abolished, without prior discussion. 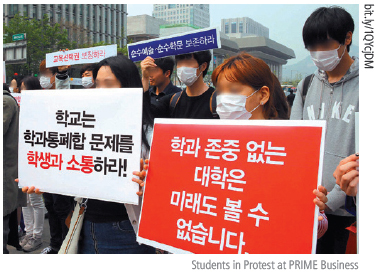 Students at Konkuk were enraged at the university’s unilateral decision. Many critics have pointed out that the government’s structural reforms have reduced the quality of university education overall. According to Korean news aggregator News1, universities try to decrease the number of classes, or increase instructional hours per professor to meet government standards. This means that students do not have many classes to choose from, while professors have to spend more time teaching. Critics say such practices will not improve the quality of education. According to the Ministry of Education, CORE is different from PRIME in that it seeks to develop humanities in Korea, while meeting society’s demands for education in technology, engineering, or science. 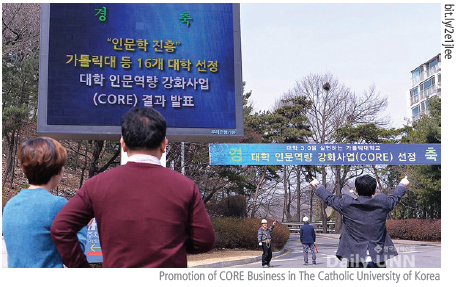 Sixteen universities, including Seoul National and Sungkyunkwan, are currently participating in CORE, while the 21 enrolled under PRIME. Yet, as an investigation in The Hankookilbo pointed out, the standards of selection are almost 80 percent the same. Thus, it seems that the government’s programs do not have a clear goal to develop universities. If each program has a different goal, it should have different ways to achieve the goal, so as standards to select applicants. Given the government’s emphasis on engineering and science, what are the reasons for the decline in humanities education? There might be many reasons for this, but two of them seem to be very important. One reason, certain historical characteristics of the humanities are hastening their demise. Students who study humanities in university do not have specialized skills that are favored by companies. Some educators point out that when employment rates are low, humanities departments need to adjust and strengthen their relationships with the rest of society. The other reason is government policies. As economic value becomes more important, the role of humanities is reduced. The government encourages this phenomenon with its various programs, leading to a perception that universities are not educational institutions, but industrial organizations. Why do we define this situation as a problem, and why do we consider this to be worthy of a solution? To sum up, disregarding the humanities has many negative consequences for society. If a college removes its humanities courses, faculties in the humanities will lose their jobs, while students lose their options. High school students who have completed entrance examinations early also take a hit if humanities courses are removed. Students who lose these options also face self-doubt and demotivation as their goals are removed. Also, colleges are losing their function as ivory towers of knowledge - that is, sanctuaries for learning - instead resembling enterprises. Kai Britto, one of the journalists of Wisconsin Public Radio, mentioned that the ultimate goal of the university is to provide opportunities for students to understand multiple viewpoints and different ideas from various fields and process them, not just recording higher employment rates and producing an ideal officer for the capitalist system. However, as universities chase financial profits, they are killing the humanities, which is not helpful for increasing employment rates or financial outputs. Man-yeop Park, one of the professors of UOS, mentioned in his colum of Catholic News that we have to challenge universities’ view that consider money to be more important than knowledge. As Dean Suh, a professor of philosophy, acknowledged the core of the humanities is the spirit of criticism, and if humanities are not taught, society will lose the ability to criticize. People will become subordinate to their rulers because they do not know what the government does correctly or wrongly. Professor Suh suggests that people should regard the humanities as reflecting the spirit of society. Likewise, the government should reconsider the programs it has implemented to develop universities, especially PRIME and CORE, so that they really encourage the idea of the university. Many in society may consider Professor Suh’s view of the humanities to be too idealistic and antiquated, but even among those in business and science, we can find advocates for the humanities. For example, many famous CEOs point out that prior to the late 20th century, a product’s quality - including durability, workmanship, and materials - was the most important criterion for customers. However, as technology has developed, quality among products has become less clear. Therefore, brands and other criteria have become more important. Thus, the humanities should remain important because they teach creativity, and a discernment of quality. This is why people need the humanities.